What if every day you could encounter the Divine? What if you could regularly know the blessing of deep peace and abiding joy? Great News – You Can! 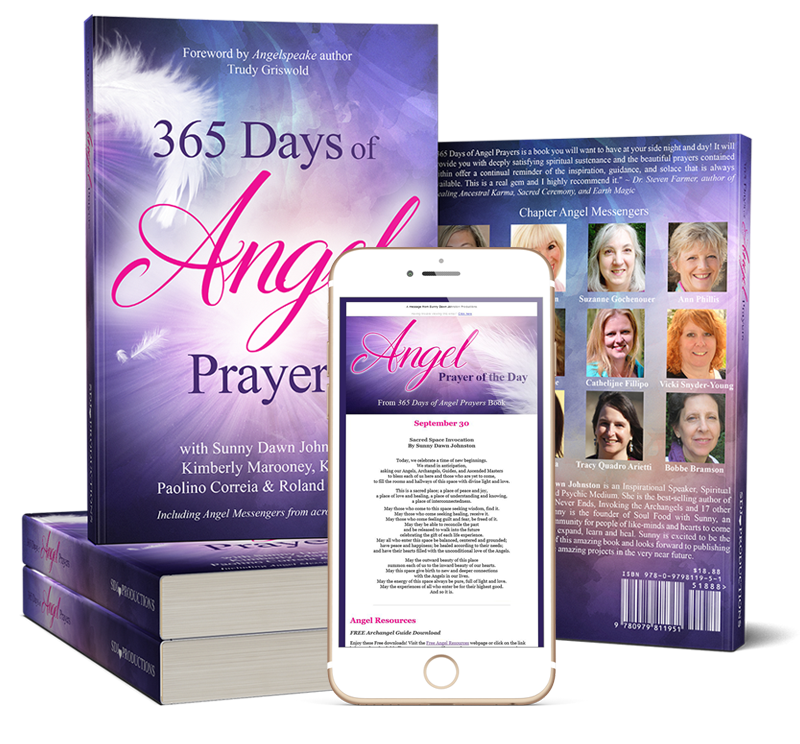 365 Days of Angel Prayers is a gathering of daily angel invocations, blessings, prayers and essays written by people who work with angels to manifest joy, healing, deep peace and love. Each day’s inspiration can be delivered directly to you inbox with this brand new Angel Prayer of the Day subscription service. Each prayer was created by an author who has a divine life purpose of communicating with the angelic realm and a deep desire to share that purpose on a global scale. Each entry is a gift to you – a reminder that, no matter what your struggles in life, you are never alone. You have angels ready to assist you at any moment, and you can connect with them regularly using these unique prayers and inspirational messages, delivered directly to your email account on a daily basis.